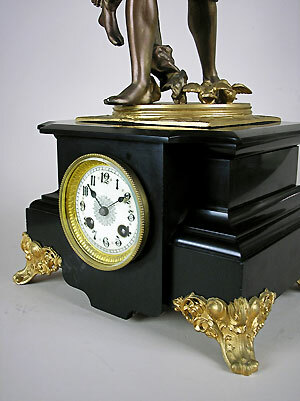 This is a French double figure clock in a black slate case on gilt scroll feet. 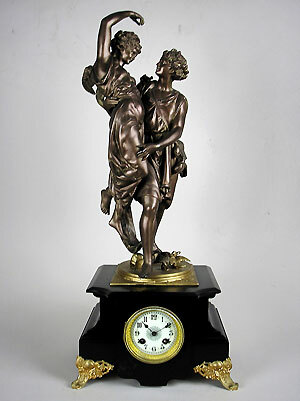 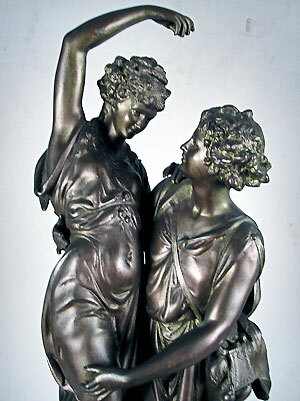 The figurine is in bronzed metal standing on a gilt base. 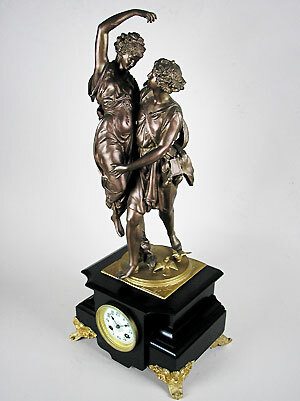 The clock has an eight-day bell-striking movement by Japy Freres of France, with a white porcelain dial, spade hands and a gilt brass bezel.